Our Kindle Calendar Pro application has recently reached #1 ranking among bestsellers in Kindle Games and Active Content, and as I’m writing this post it ranks #11 paid Kindle title! 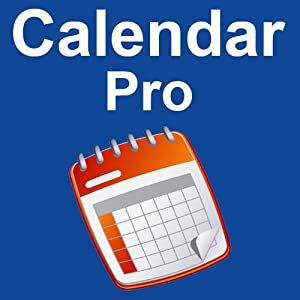 Calendar Pro is an application that helps you keep track of your daily schedule on Kindle and find out which day of the week any date falls on. User interface has been optimized for eInk and it runs equally well on Amazon Kindle 2, Kindle 3 and Kindle DX. Regretfully, Calendar Pro like all other Kindle apps is currently not available outside of US. We would like it to be otherwise (and I’m sure Amazon as well) but for the time being this is how things stand. We, the developers of the app would like to thank all our customers for choosing the app and providing valuable feedback, here on the blog, via email and in Amazon product reviews! This entry was posted in Kindle Applications, Kindle Apps and tagged active content for Kindle, calendar, Kindle Calender by Dzmitry. Bookmark the permalink. what ability is there to sync with other systems?